Your Erie Conservation District works hard to build partnerships and secure funding to increase stewardship on our land. Whether restoration, education, or data collection our partnerships are helping us better understand the environment around us to improve our soils, stream, and Lake now and for the future. 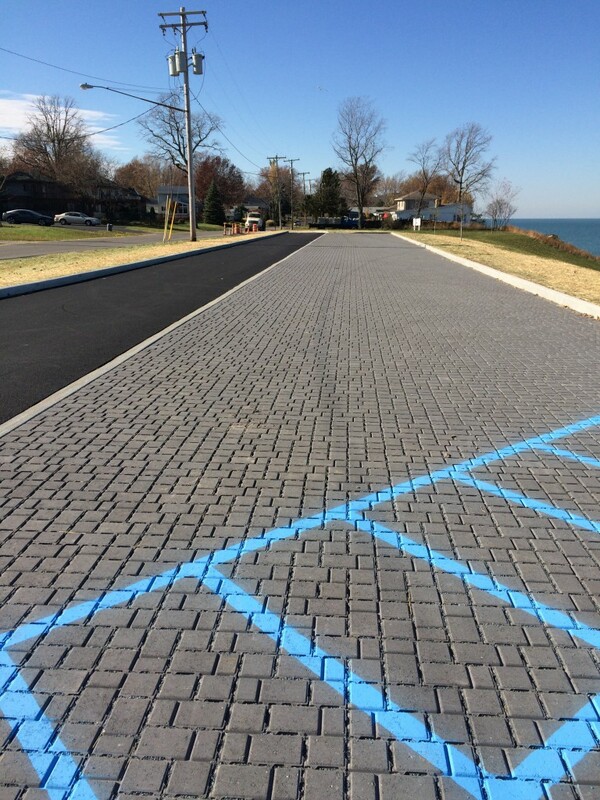 Check out what we’ve been up to improving our community. Since 2008 volunteers have been collecting data in local streams of Erie County. Trained stream monitors sample several sites in 4 watersheds once a month from April to November: Old Woman Creek, Pipe Creek, Mills Creek, and Sawmill Creek. Our monitors take readings of water temperature, pH, turbidity, and dissolved oxygen on site then collect a water sample for nutrient analysis conducted by the Old Woman Creek Reserve Lab. Data collected is used to create a watershed report card for 3 streams which is presented each spring. 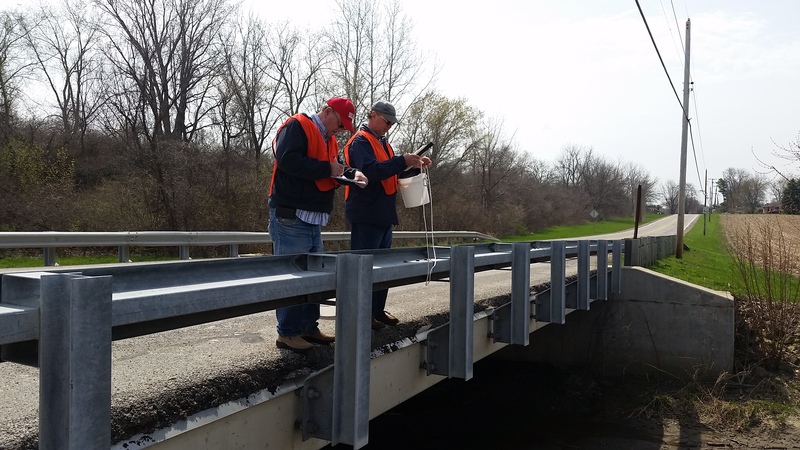 This data has provided information for helping identify water quality issues, to target conservation, secure funding, and develop management plans. Click here to read our report cards and presentations. Click here to find out more about becoming a Volunteer Stream Monitor. iEvolve with STEM: Inquiry and Engagement to Invigorate and Optimize Learning for Everyone. Funding through the National Science Foundation has allowed the District to partner with Bowling Green State University and others to provide a unique opportunity work directly with Sandusky City and Perkins Schools to improve student performance in science. Through adoption of a “citizen science” model supported by teacher professional development, students will get hands on experience with science through inquiry, data collection, and community research. This project involves over 6,000 students from grades 3rd through 8th . 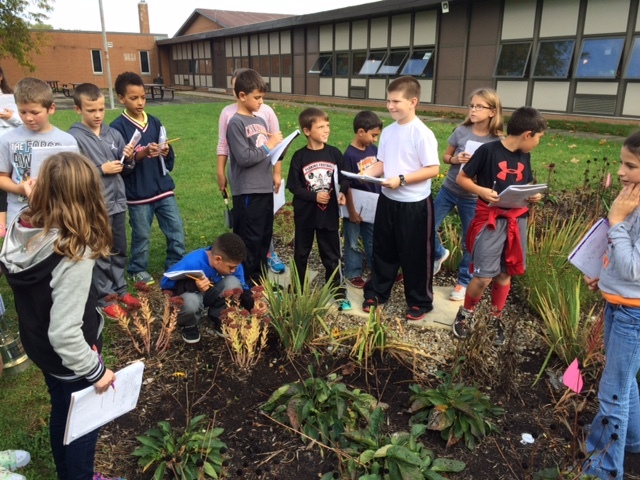 The District has the pleasure of working with grades 4th and 6th specifically on soils through investigation of school site rain gardens, collaboration of soil data collection with the Globe Program (GLOBE.gov), and precipitation monitoring through the Community Collaborative Rain, Hail and Snow Network (COCORAHS.org). Click here to find out more about the Ievolve and other research areas in the project. Among the various USDA Farm Bill programs that are available, one in particular, the Lake Erie Conservation Reserve Enhancement Program (LE CREP) has enabled farm operators and landowners to become better stewards of their soil and water resources. Ohio’s first CREP, comprised of 27 counties within the Western Basin of Lake Erie, was rolled out in the summer of 2000. A local, State, Federal and private partnership, the LE CREP was initiated to establish 67,000 acres of riparian and upland conservation practices throughout this intensively cultivated area. 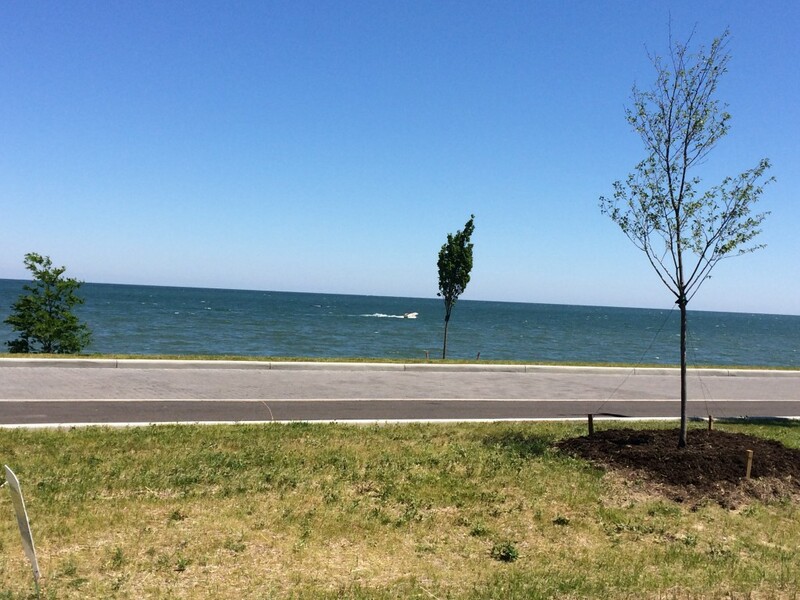 And seeing as how the western portion of Lake Erie is so shallow, it makes for this portion of the lake to be more readily affected by sediment and nutrient loadings from farming and other ag-related activities. Farm operators and landowners who chose to participate in the LE CREP program planted or developed specific conservation practices that effectively address the resource concerns, while setting aside the environmentally sensitive areas on their farm. This has significantly reduced the amount of sedimentation and increased the protection our water courses, thus improving the water quality of our streams, rivers, and ultimately, Lake Erie. 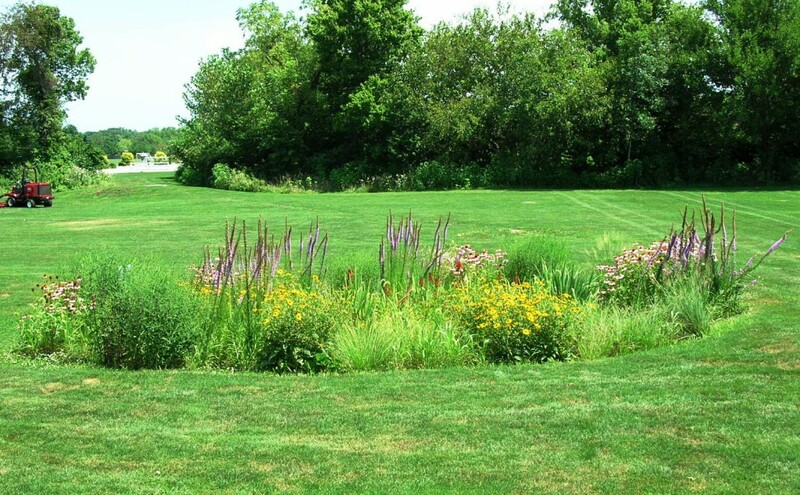 Among the conservation practices that participants have been able to establish are grassed filter strips, riparian buffers, field windbreaks, filter/recharge areas, wildlife habitat establishment, and wetland restorations. 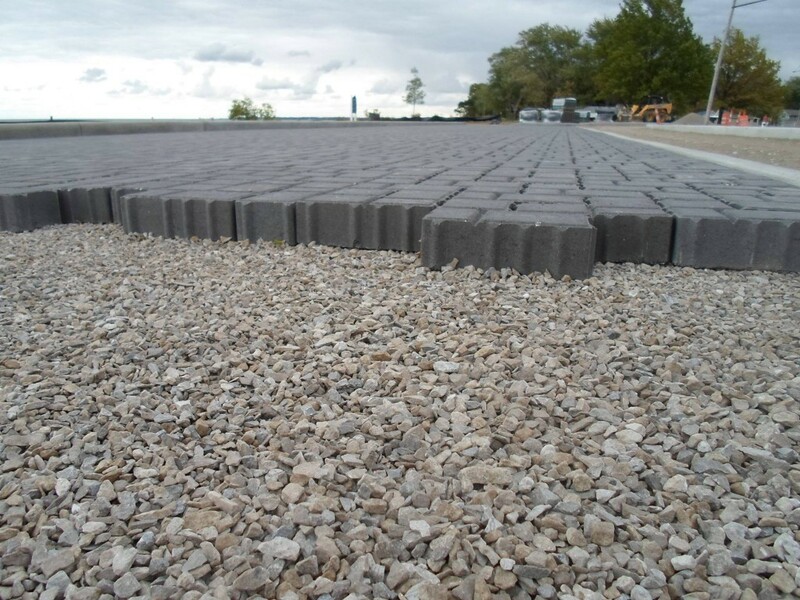 Some studies have shown how the vegetative buffers were able to reduce sediment loads through surface runoff by as much as 70 percent or more within the first twenty feet. To date, approximately 470 aces in Erie County have been enrolled in the LE CREP. 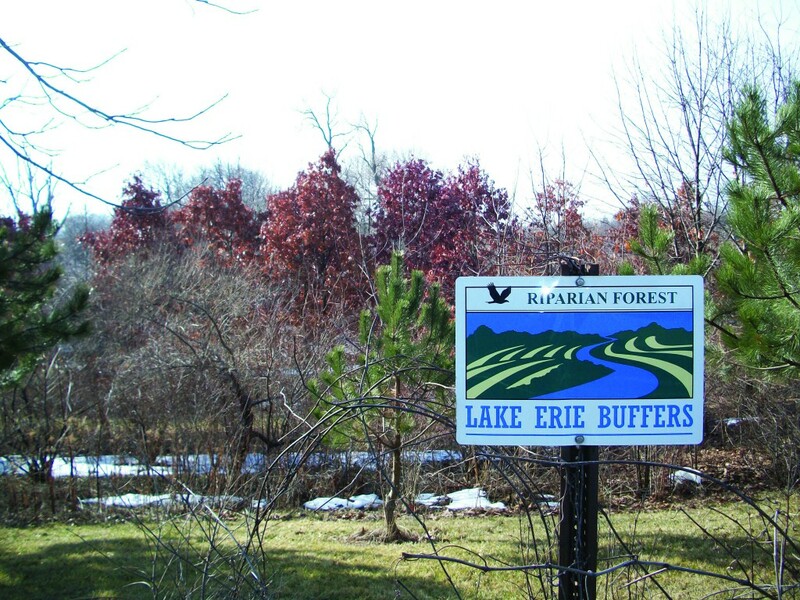 There still remains more than can be done through this highly successful program, as additional acres could still be planted to conservation practices, furthering our efforts to improve and protect the water quality of our streams and Lake Erie. Contact your local Conservation District to discuss your options! We often don’t think of trees along our streets as a “forest” but they actually serve as a vital part of our urban forest. Trees not only provide shade and a place for the birds and squirrels to live they also provide quality of life improvements such as storm water control, crime reduction, and health benefits. 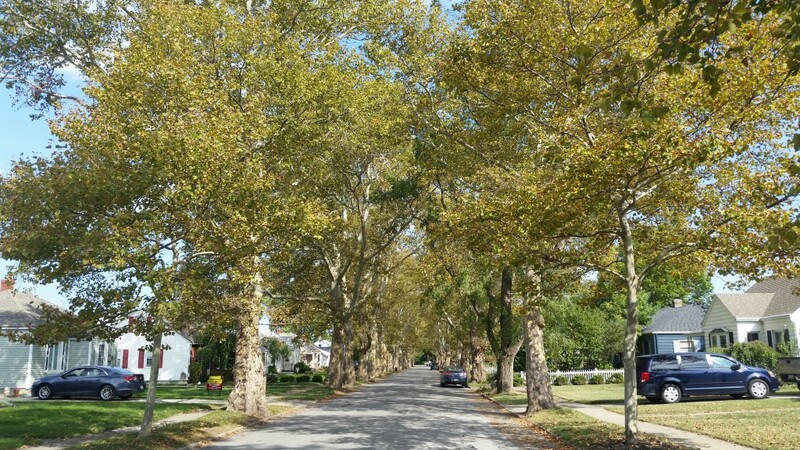 In 2014 the District helped the City of Sandusky count, identify, measure, and assess over 6,000 trees found growing in the boulevard between the street and the sidewalk. The Erie County Community foundation assisted the projects with a grant to hire an intern for the data collection and analysis. The inventory has helped the City with their increased management efforts of their urban forest. Click here for the final presentation on the survey. 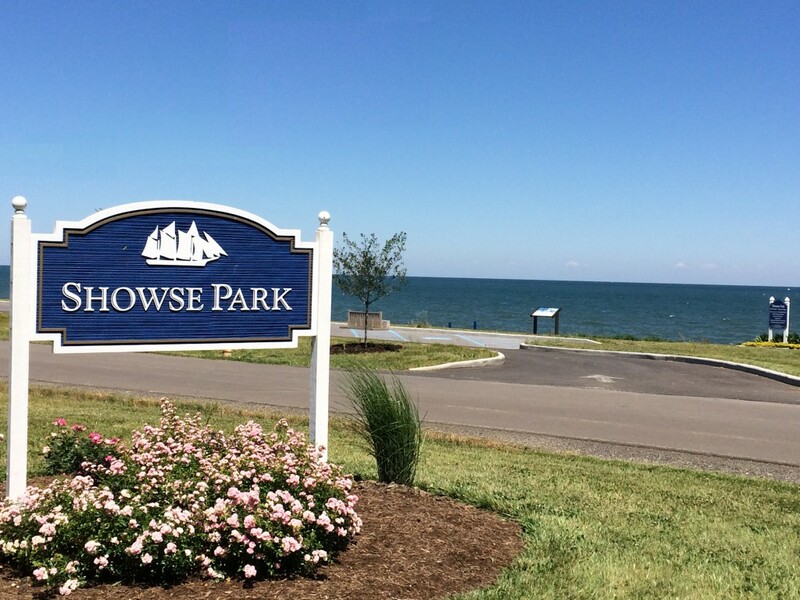 Old Woman Creek National Estuarine Research Reserve and Chagrin River Watershed Partners, Inc. partnered with the Erie Conservation District Team to develop credits and incentives for innovative stormwater management. 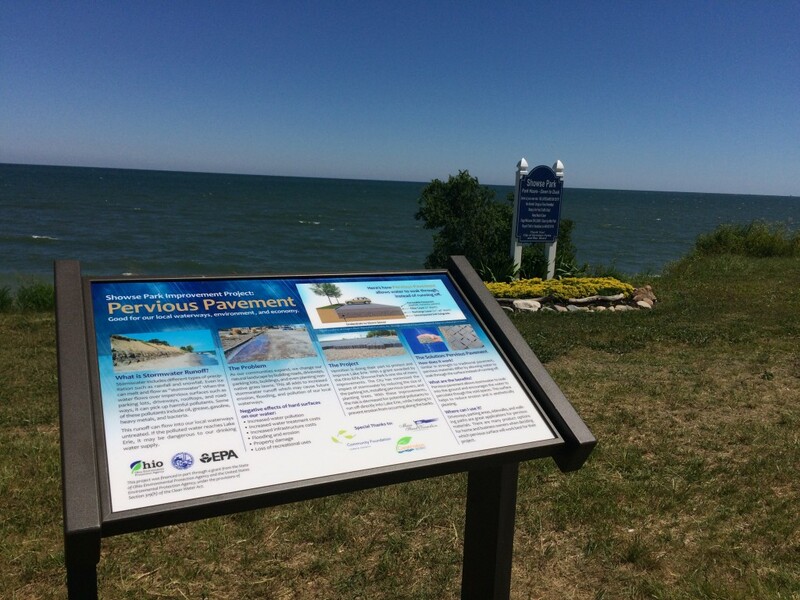 This NERRS Science Collaborative grant-funded project developed science-based tools to assist in the promotion of low impact development (LID) practices to reduce the impacts of stormwater on Ohio’s coastal communities and Lake Erie. 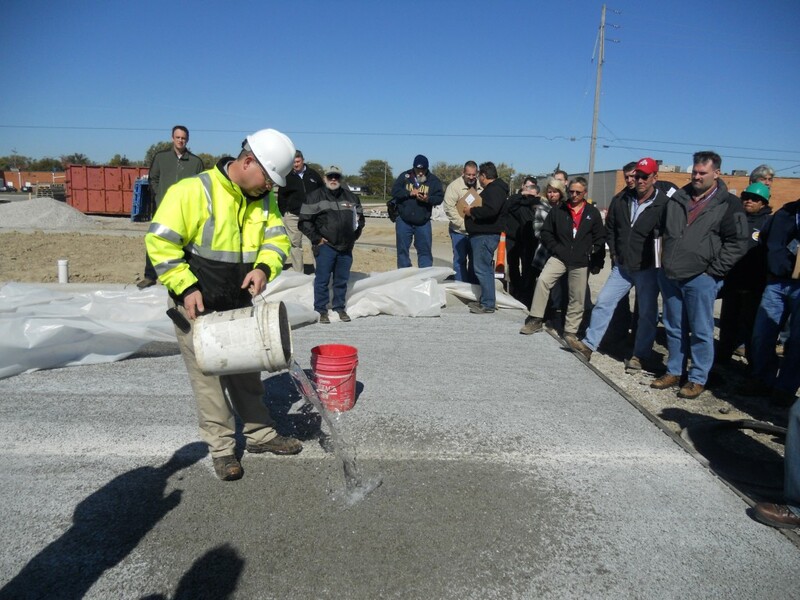 Stormwater professionals collaborated with the project team to generate locally verified performance information about innovative stormwater systems through the installation and monitoring of LID practices in Ohio. Check out the final case study document for details of the monitoring results. For more information about the project visit the Chagrin River Watershed Partners project page. 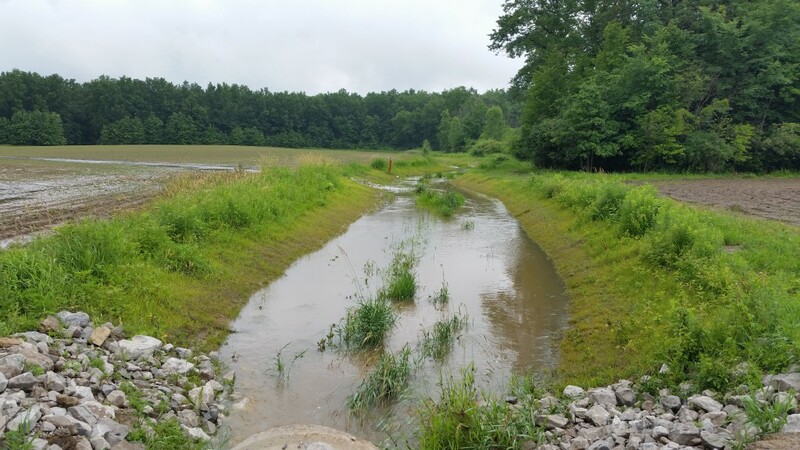 In an effort to reduce sediment traveling through the Old Woman Creek watershed and impacting the estuary and Lake Erie several agricultural ditches have received a face lift made possible through the Great Lakes Basin Program for Soil Erosion and Sediment Control. Over 2,500 feet of “2-stage ditch” and 900 feet of “overwide ditch” was installed through 2012-2014 in three project areas of the east branch of Old Woman Creek. 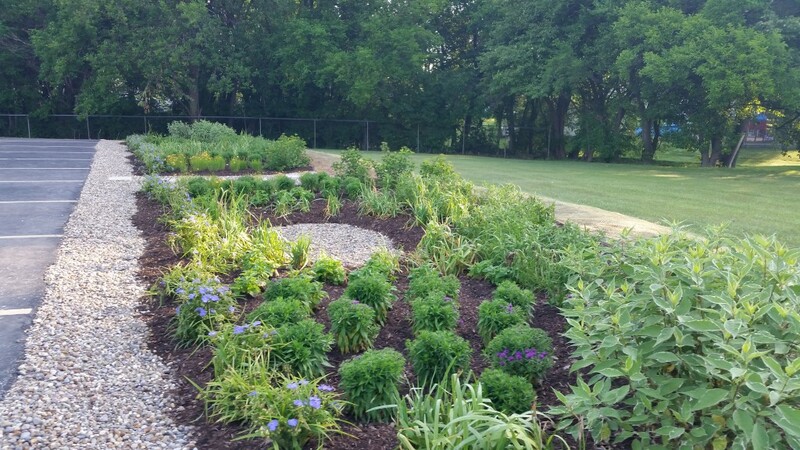 The locations were located in the targeted region for “in-channel” improvement as part of the Old Woman Creek Watershed Action Plan, as well as landowner interest and participation to try a new approach for ditch construction. Overwide and 2-stage ditches differ from the traditional drainage ditch in agricultural fields by creating a overwide base or floodplain benches that allow the stream to spread out during higher flow events. By doing this, the stream flow can slow at the edges and allow sediment to settle out, while the vegetation helps to reduce excess nutrients in the water. An added bonus of these ditches is an increase in carrying capacity which helps to reduce flooding into adjacent fields that can result in reduced yields, erosion from run-off, and loss of nutrients. These ditches will help reduce an estimated 2,500 pounds of sediment impacting the watershed each year by reducing bank erosion, flooding, and acting as a sediment collection zone for sediment entering upstream of the project area. If you would like to see these projects they are located on Derussy Rd in Huron County near Liles Rd and Andress Road, north of 113 in Erie County.